Start recycling and upcycling for home decor if you haven’t already. 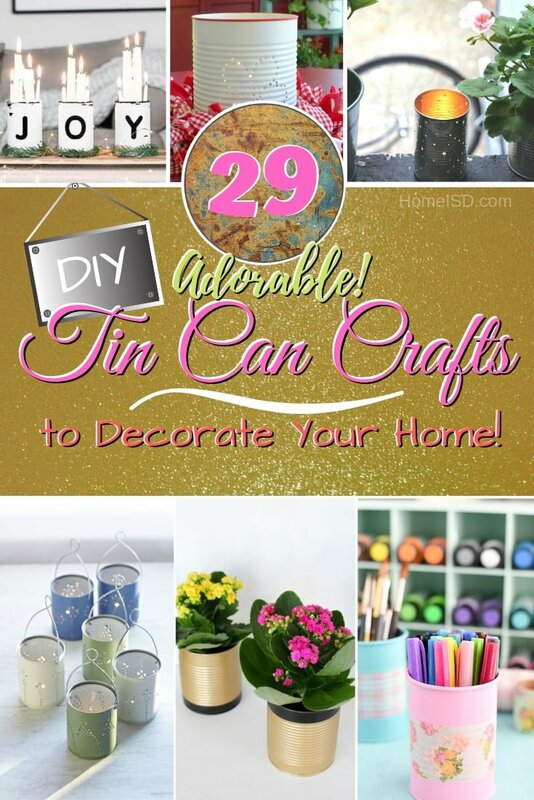 Use these adorable 29 DIY tin can decor ideas. There are leftover things like in your garage or somewhere around the house that pile up. You have only two choices – use them or throw them away. One of these things is tin cans. And we’re not about to throw them away. You can make impressive home decor from tin cans, be it a decorative vase or planter, or an organizer for small things and even lanterns. There are also a few surprising crafts from tin cans. So check these out! 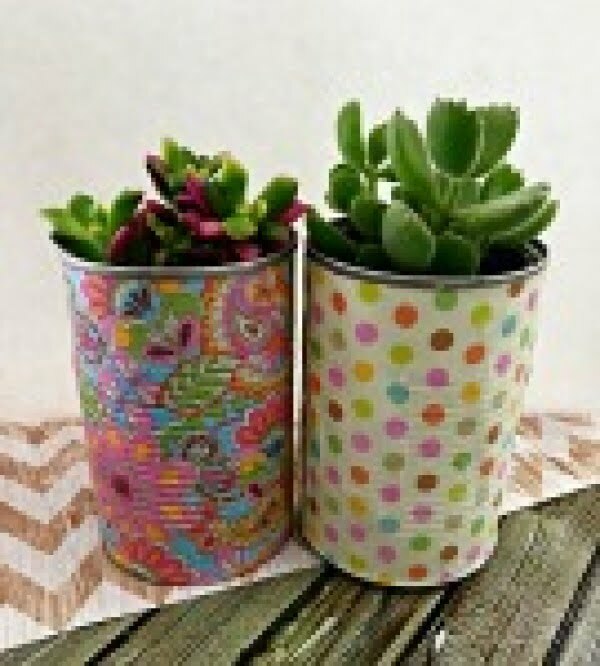 Recycle old tin cans into the fabulously painted tin can planters, perfect for indoors or outdoors. A great way to stay in budget and add color to your space. Follow the article to learn how to do it. 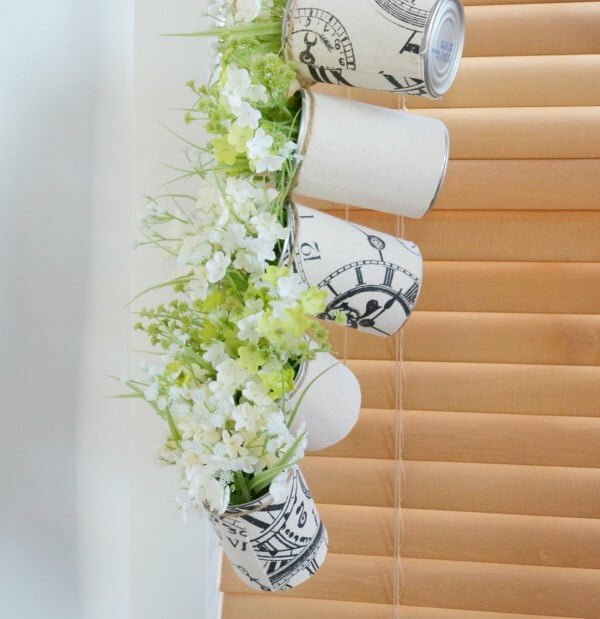 This is an awesome tin can project – DIY flower pot on a budget. Read this website to learn how to do it. 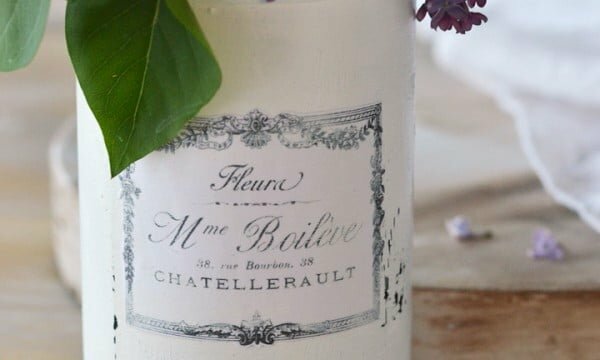 This is a fantastic DIY vintage French recycled tin cans project on a budget. See the article to see the complete plans and instructions (includes printables). 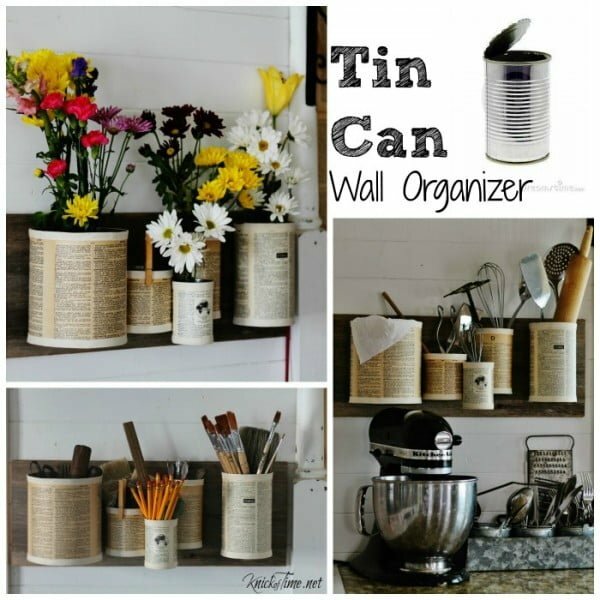 Repurposed tin cans find a new life as an incredibly useful and great-looking wall organizer – shown three different ways. See the tutorial for the entire plans and instructions. 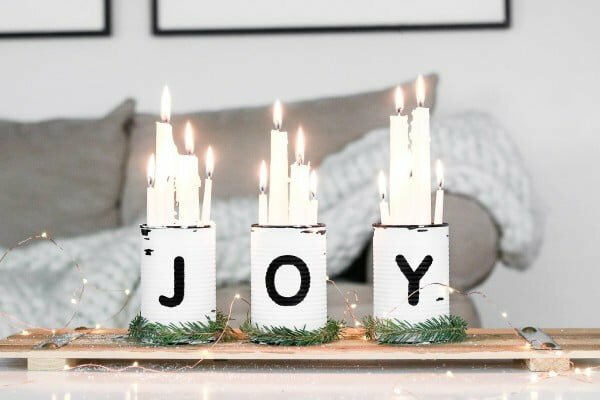 It takes only 30 minutes to make and involves upcycling tin cans with the words JOY on them. Check out the link to see the entire plans and instructions. 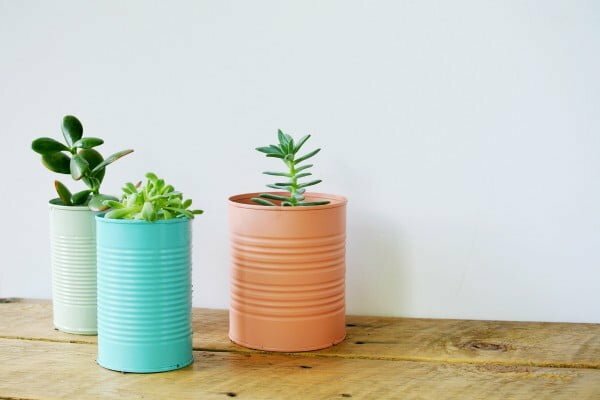 These DIY Tin Can Planters are perfect for your succulents or other small plants and flowers. Upcycle empty tin cans into DIY planters with an easy faux galvanized metal painting technique. Check out the tutorial to see how to do it. 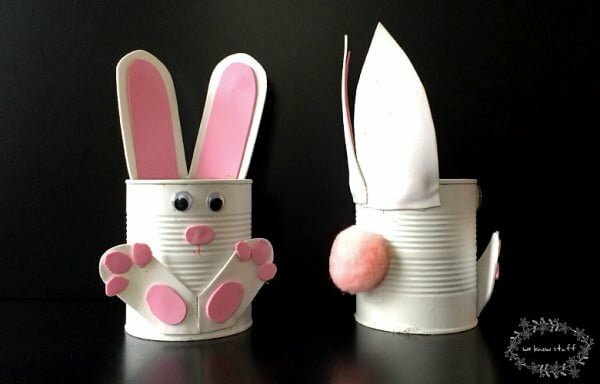 These cute Tin Can Bunny Planters use up recyclables already found in your home. Follow the link to see how to do it. 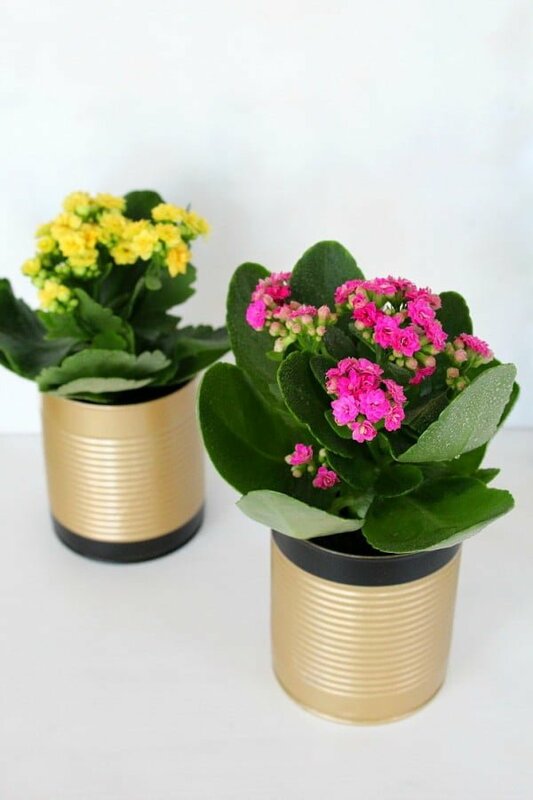 Spruce up your home and recycle with these easy DIY tin can planters. 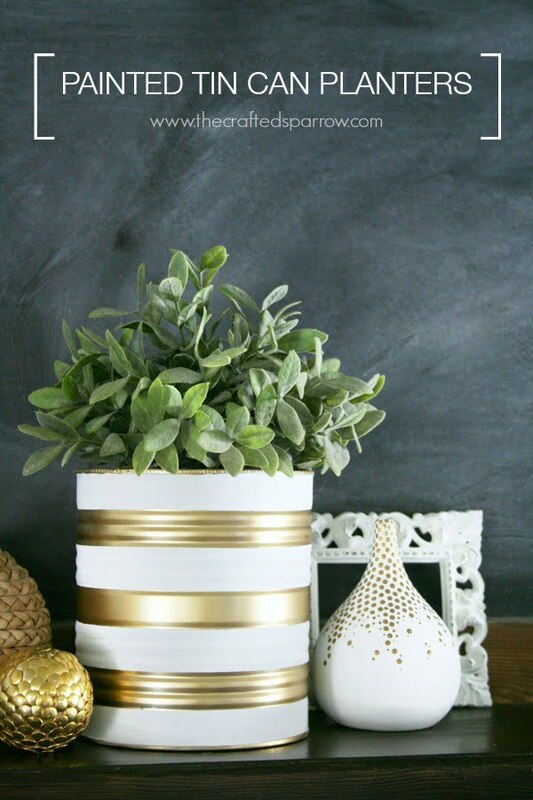 These DIY tin can planters are perfect for any home. See the article to learn how it’s done. 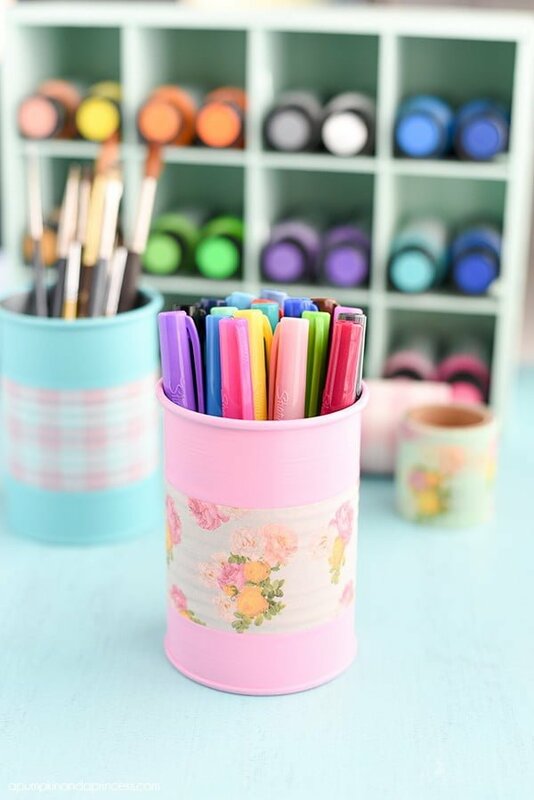 DIY Tin Can Organizers – keep craft supplies organized with tins cans, paint, and washi tape. Read the tutorial for the full details and instructions. 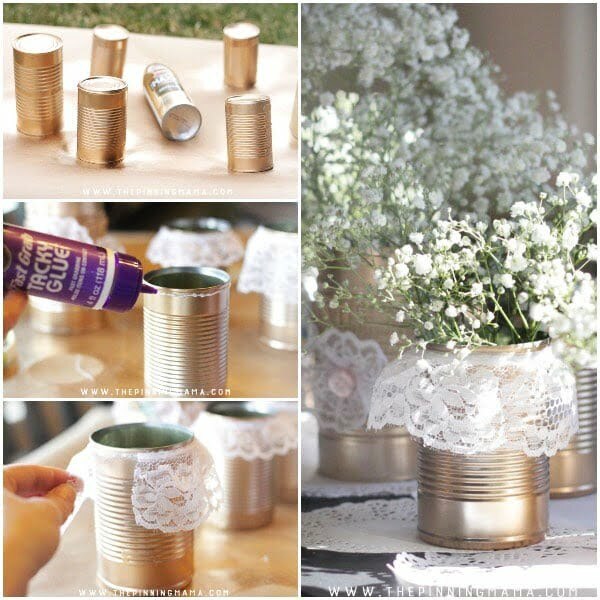 Instead of throwing away your tin cans, why not recycle them into something pretty and useful like some flower pots. 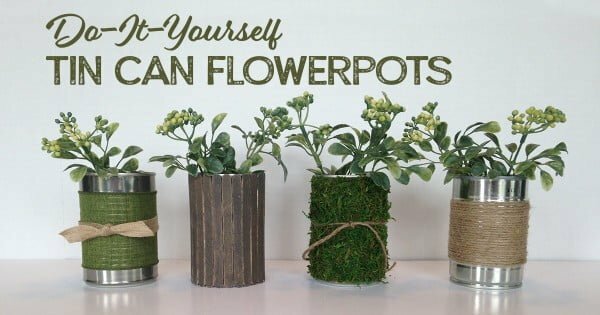 Here’s how to make tin can flower pots in just a few easy steps. See the tutorial to see how it’s done. 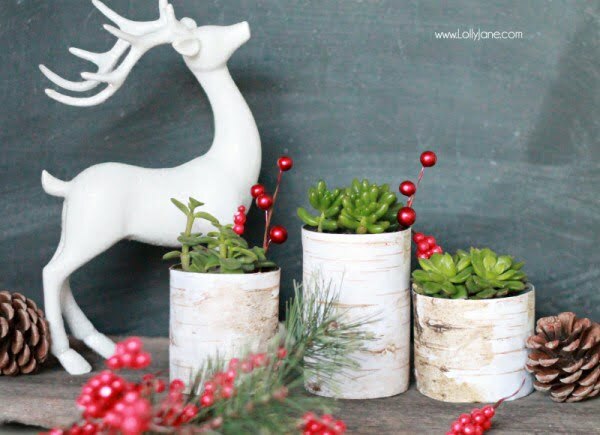 These birch wood tin can planters would be a great addition to your fall decor, Thanksgiving mantel, and even Christmas decor mix. Check out the article to learn how it’s done. 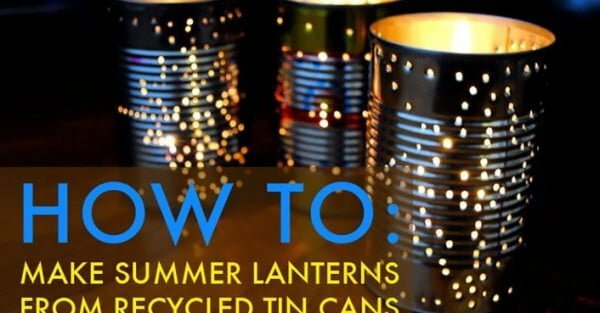 Add a little glow to your outdoor festivities by making your tin can lanterns. Here’s the full tutorial on how you can make them yourself. Read this website to see how to do it. Make these fantastic mini tin can lanterns for a budget craft project. Check out this website to see the entire details and instructions. 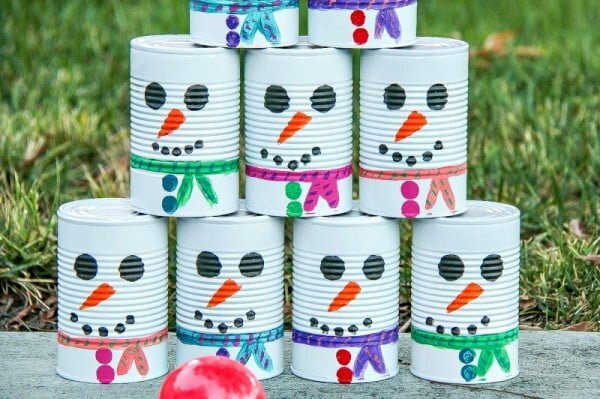 If you are looking for ways to keep the kids occupied this winter, then we’ve got a fun craft and activity that they will love – Snowman Tin Can Toss. Check out the link to get the complete details. Create these easy DIY punched tin can lanterns for all of your upcoming summer celebrations by following our step-by-step directions. See the article for the entire guidance and instructions. 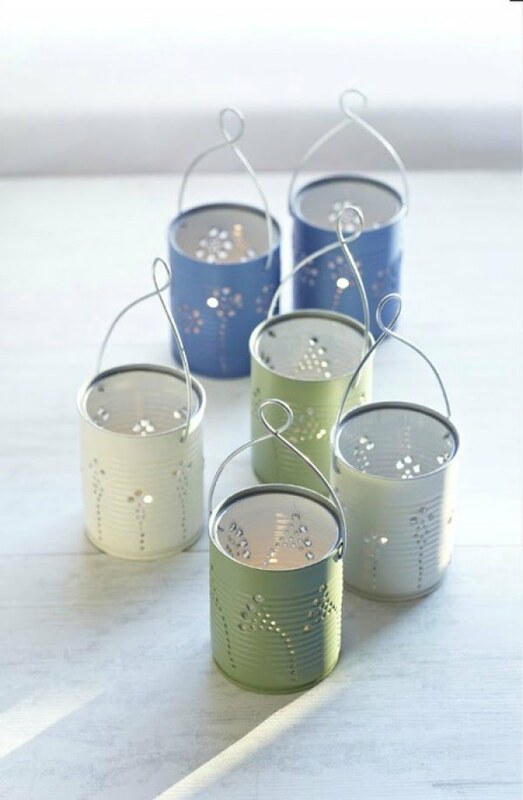 With summer in full swing, why not create some simple outdoor lanterns from recycled tin cans for your next party? See the link for the complete plans. 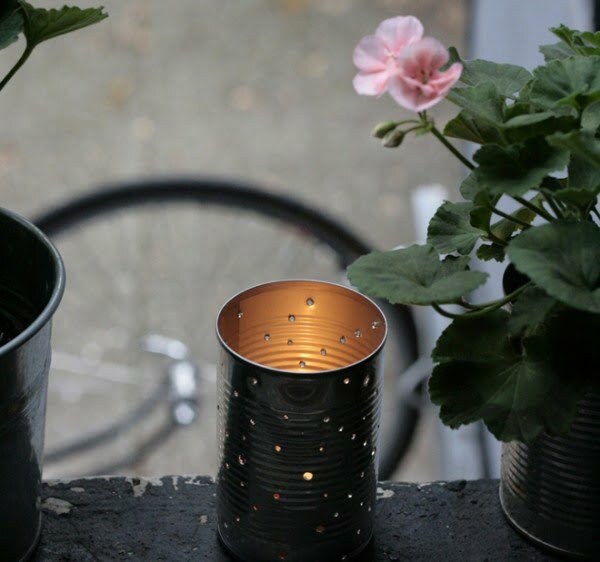 Make this great tin can candle holder as a straightforward project. Read the tutorial for the complete guidance and instructions. 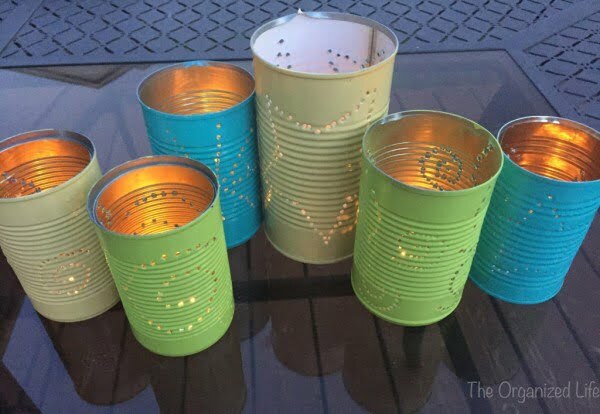 Make these unique recycled tin can candle holders for a simple craft project. Follow this website to learn how to do it. 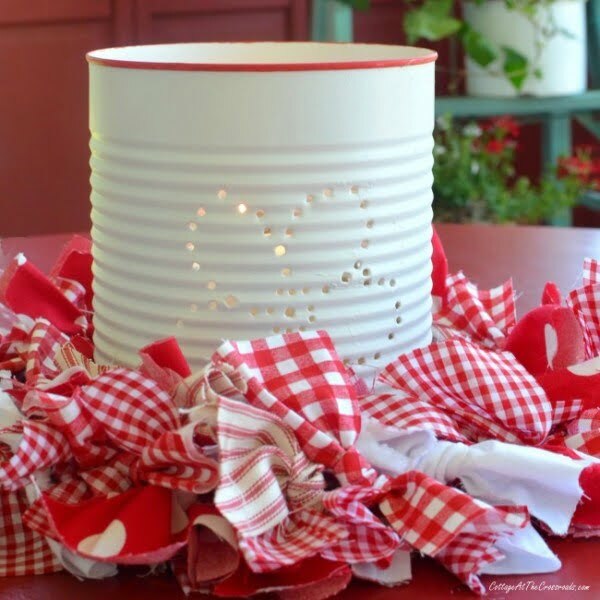 Embellished tin can candle holders are beautiful homemade gifts kids can make. 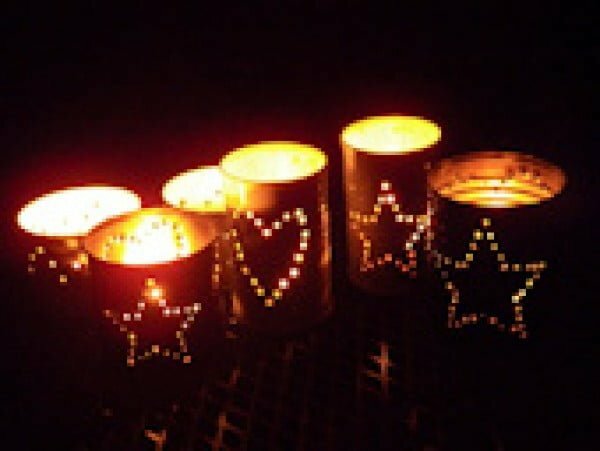 These DIY luminaries are easy to make and look stunning. Follow this website to see the entire details and instructions. 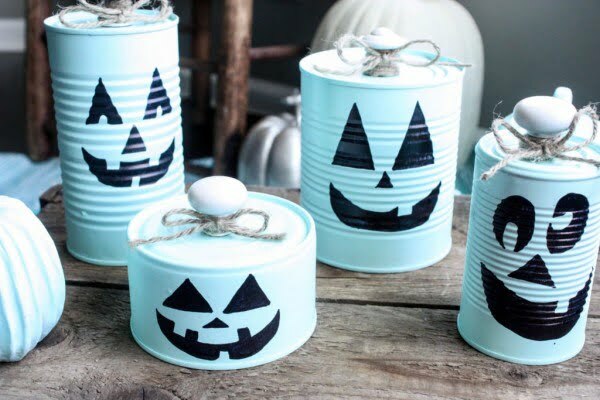 This tin can pumpkin project is a fun and very easy Halloween craft that uses household items that you probably already have on hand. A must do this fall. Check out the tutorial to learn how to do it. 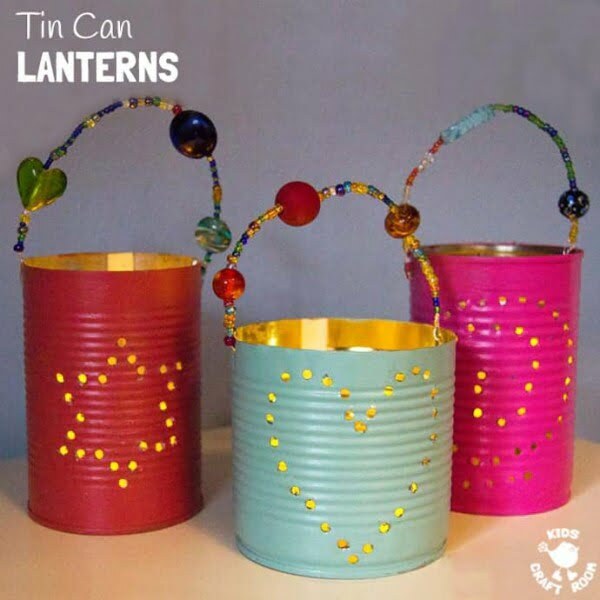 Whenever you have a lot of old tin cans in the recycling bin, stop and think of the many DIY projects that can be done with them. See this website to learn how to make hanging planters. It is always great to make something out of nothing. These little tin can planters recycle something you would normally discard. See the tutorial to learn how it’s done. 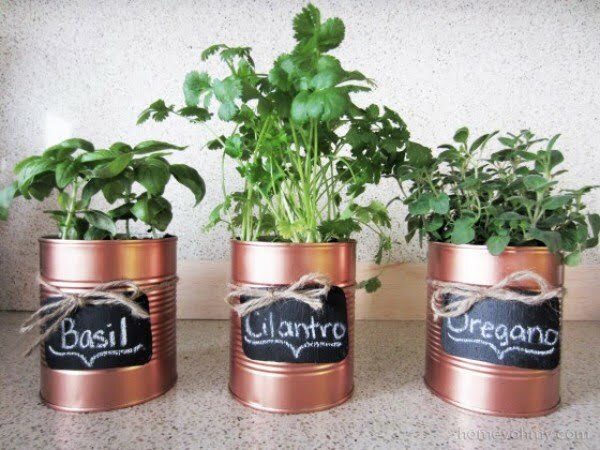 This is an excellent idea of a DIY copper tin can planters and chalkboard tags on a budget. Check out the link to see the entire guidance. 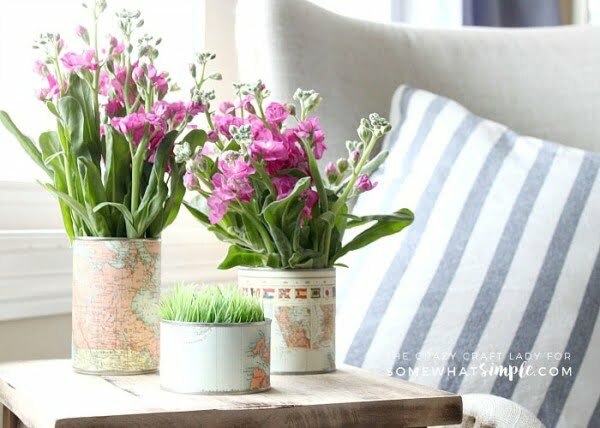 Recycle and repurpose empty tin cans by covering them with map paper for a fun and unique Tin Can Vase – perfect for fresh flowers. Check out the link for the complete guidance and instructions. 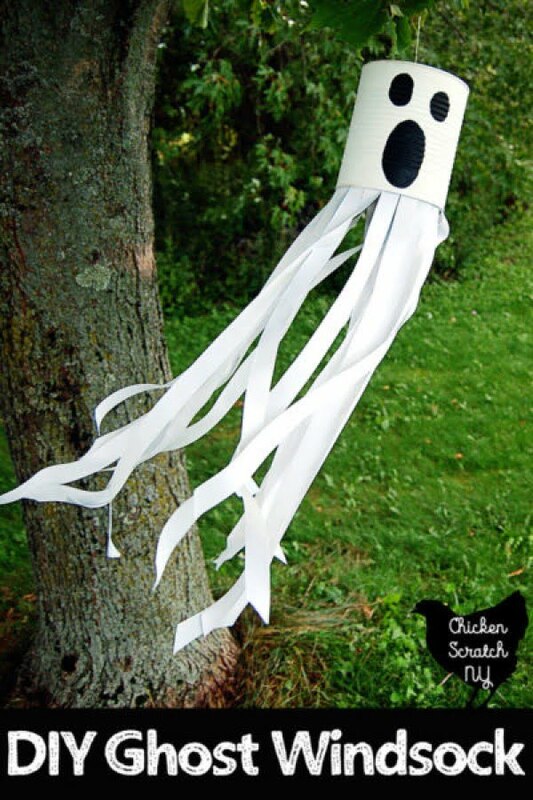 This is an excellent DIY tin can ghost windsock for easy Halloween decor. See the tutorial to find out how to do it. 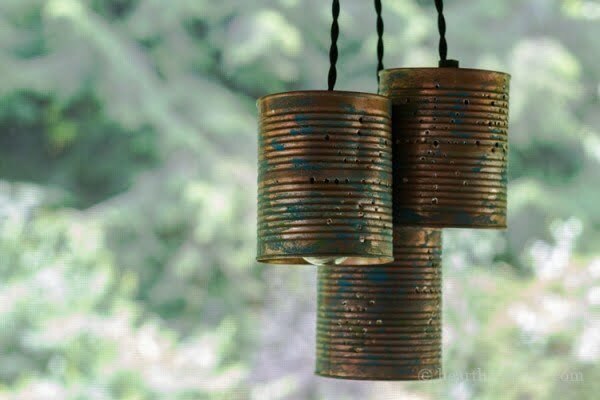 This tin can pendant lights project is easy to put together. Decorate them with craft paint, and use a hammer and nail to create a pretty pattern of light. Check out the article to find out how it’s done. This centerpiece idea is filled with everything you need for a shabby chic vintage feel. Made from tin cans and dressed up with gold paint and lace, and filled with gorgeous baby’s breath flowers. Read the tutorial for the entire plans and instructions. If you’re looking for a quick and easy Christmas craft, look no further. 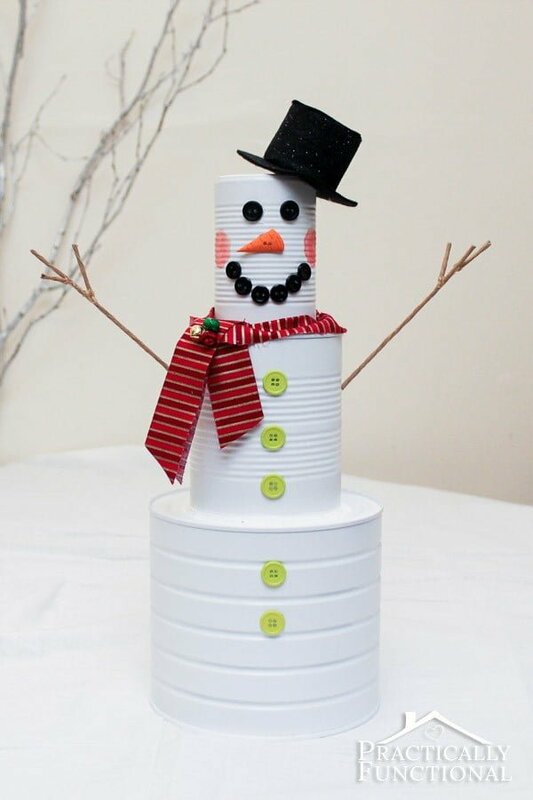 This adorable tin can snowman is not only a great way to recycle some leftover tin cans. Follow the link to see how to do it. 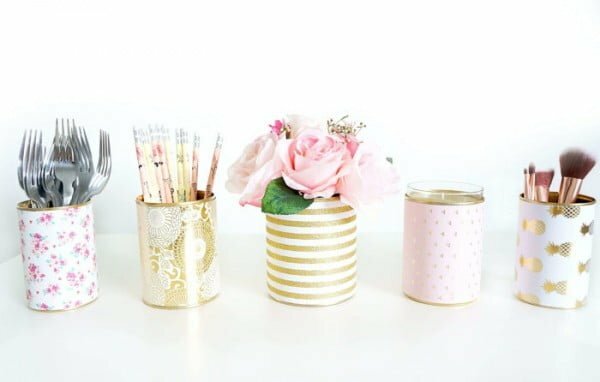 These DIY Decorative Tin Can Vases not only make pretty decor, but they’re also incredibly practical, easy to make and budget-friendly. See the tutorial for the full plans and instructions.